An exhaustive study surveying prostate cancer patients treated with proton therapy determined high overall satisfaction with the treatment. 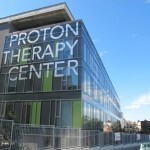 The report released last week at the National Proton conference in Washington, D.C., included 2.000 patients treated for prostate cancer with proton therapy from 1991 to 2010. 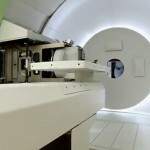 Proton therapy, which delivers high doses of radiation to a precisely targeted area, is often used for treating prostate cancer because it has the ability to spare surrounding healthy tissues and minimize side effects like incontinence and impotence. 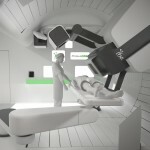 Medicare even reimburses proton therapy for prostate cancer treatment. 92% of the respondents considered that physical health or emotional problems did not interfere (or very little) with their social activities, and that their urinary, bowel, and hormonal Health Related Quality of Life (HRQOL) measures compared to healthy individuals. 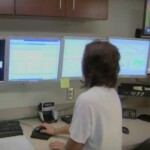 The Brotherhood of the Balloon, a group of about 6,400 men who received proton therapy, conducted the survey. They examined satisfaction with care, quality of life, emotional and physical health limitations; and urinary, sexual, bladder, and bowel functioning.